Hayes Wicker, senior pastor of First Baptist Church in Naples, announced over the weekend that he will be stepping away from the pastorate. He has served the church since 1992. Under his leadership, the church has flourished and God has blessed. What started as a small church with rundown facilities became a congregation that runs between 3,000-4,000 depending on the time of year. They also added four ethnic congregations, reaching the diverse people settling in the community. With the addition of a Christian school, children from preschool to high school are being educated with a biblical worldview and a desire to see the Gospel spread. All in all Wicker said there are 100 ministries in the church and many who have been called to full-time Christian ministry. 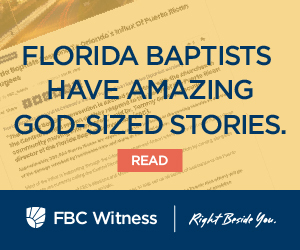 Tommy Green, executive director-treasurer of the Florida Baptist Convention, said the churches of the Convention have been blessed by Wicker’s investment in our state. Wicker said he is committed to shepherding the church through the transition of leadership until a new pastor is called. He is even willing to have an overlap ministry with the new pastor if he desires. While he says he doesn’t know exactly what the Lord has for him next, his time in ministry is not over. “Janet and I feel like we both still have much to give,” he said. 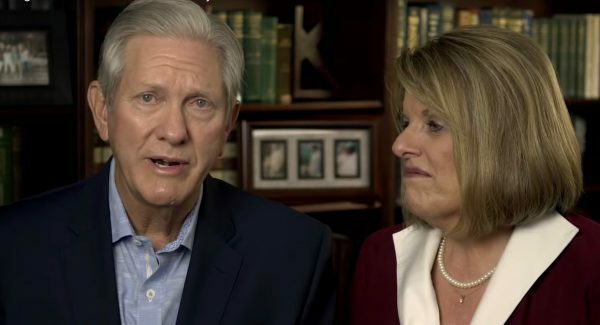 Wicker has some thoughts on the qualities that would serve his successor well. With a $14 million dollar budget, Wicker said the new pastor needs to have some administrative ability but he also needs to be sensitive to the transitive nature of his congregation. Mostly he wants someone who will “lead and feed the flock well,” take God’s Word seriously and be responsive to the Holy Spirit. In the meantime, Wicker is waiting to see what God has in store for him next. He said he made sure his congregation knew how committed he is to them and the church. Together they will see where the Lord leads. See Hayes Wicker speak to his congregation about the transition to come.